Bass Culture’s 36th release comes courtesy of a new member of our family. A young talent who has been steadily building a reputation for crisp beats and slick productions over the last few years, British producer Jordan Peak. Jordan’s work has graced labels such as One Records, Air London, Saved and Robsoul among others and he is now a label owner himself after launching his own imprint, named Rogue Society, recently. After starting out with a deeper house sound, Jordan has slowly been shifting towards a harder, more techno-influenced style recently and it’s this tougher sound that is prevalent on his debut EP for Bass Culture. Kicking off with the jazz-inflected ‘Late One Thursday Night‘, Jordan gets busy with an old school vocal sample that complements the rhythm of the double bass perfectly. Add in some organic sounding percussion and a insistent stabs, and you’ve got one hell of a sultry opener built for a dark, smokey dancefloor. ‘Sparse‘ takes things down a little with its laid back vibe, ethereal pads sweep over the top line while a grumbling bassline bounces along in unison with regular inermissions from a set of wobbly bleeps. ‘Track 06‘ pumps things up, raising the energy levels and gripping us from the outset, this is built for packed dancefloors, as witnessed during Jordan’s appearance at fabric earlier this year. An infectious combination of simple percussion, with subtle elements to support, with a bassline that throbs and judders to get everyone wiggling those hips. Last but not least ‘Feel’ reveals Peak’s sinister side, operating under the cover darkness – sensual vocals emanate from the background, the jazzy keys sound eerie as the ride over the malevolent stabs and the brooding bassline. 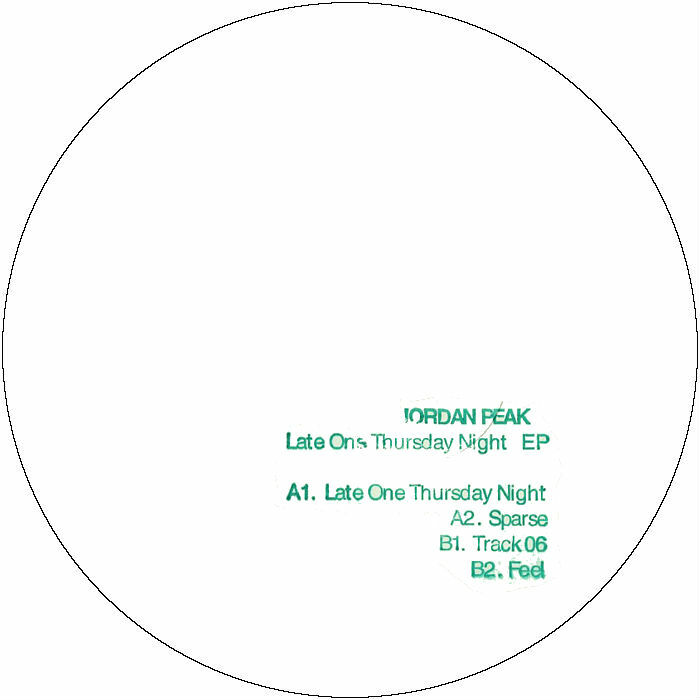 Jordan Peak’s arrival on Bass Culture has been a long time coming, but it was worth the wait. Here are four burners that will captivate and entertain in equal measure. Enjoy! Out on vinyl December 2013, out digital September 15th 2014. This entry was posted on November 27, 2013 at 19:23 and is filed under Release.